Hey party peeps! 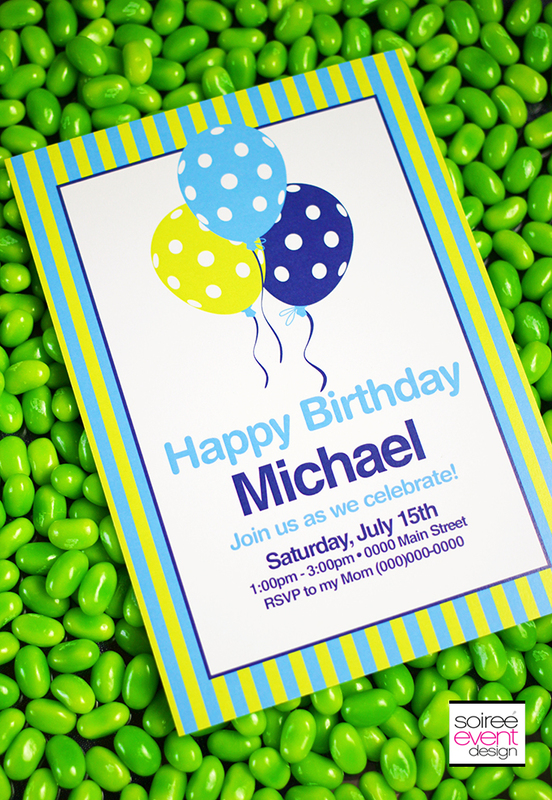 I’m so excited to debut 4 FREE Birthday Party Printables I designed exclusively for Jelly Belly and now’s your chance to download these FREE PRINTABLES for a limited time. To give you ideas on how to use the collections, check out how I styled each of the birthday collections. AND…don’t miss my signature “Girlfriend Tips” throughout this post! 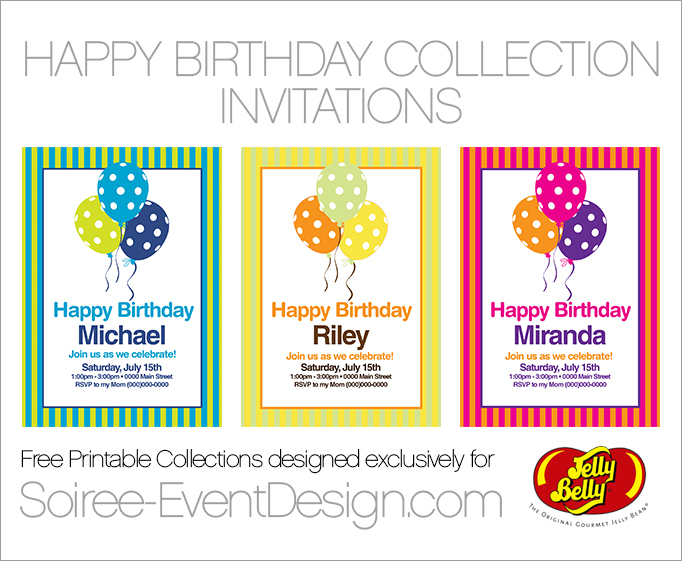 4 PRINTABLE COLLECTIONS IN 3 DIFFERENT COLORS! Each collection is available in 3 different color palettes and you can personalize them yourself! DOWNLOAD ALL 4 COLLECTIONS HERE and use them whenever you need them! If you like my printable collections, this is the only time you will be able to get them for FREE for a limited time so download them today. 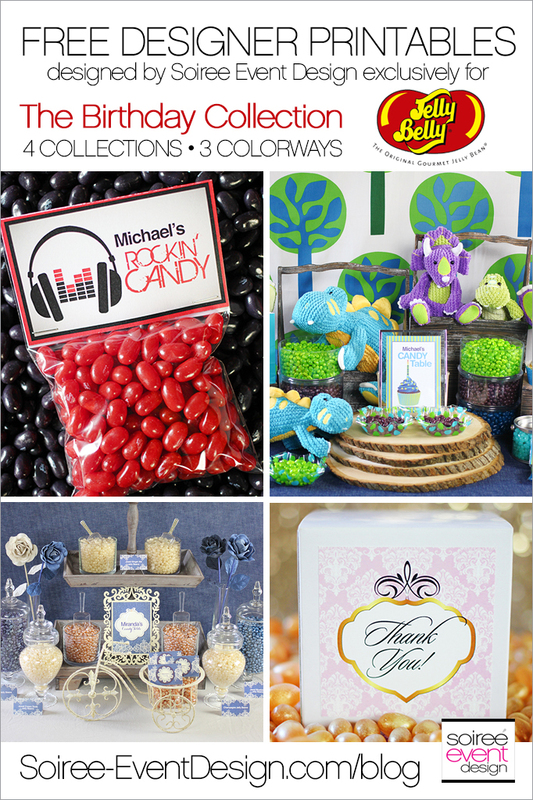 Each color palette coordinates perfectly with Jelly Belly jelly bean flavors and colors so you can match your printables to the jelly beans on your candy bar for a professional and high-end look. 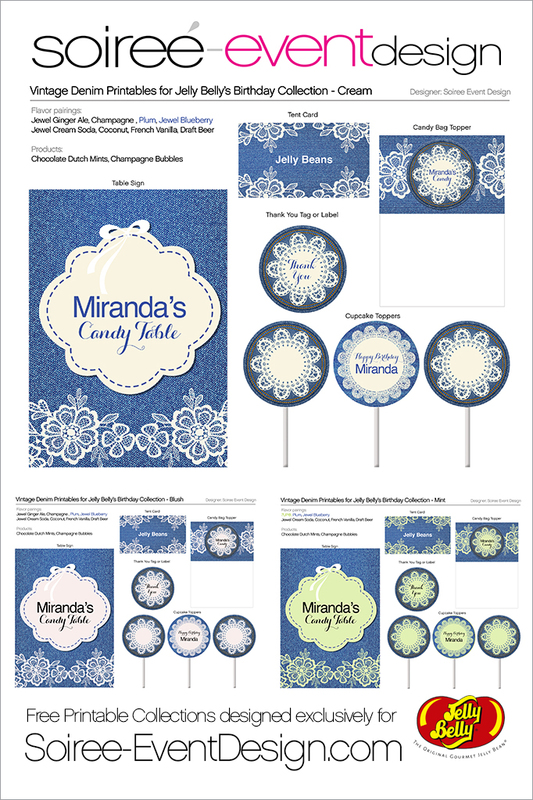 The printable collections include everything you need to personalize and customize your candy buffets. Simply download the PDF files to your computer, type in your personalized info and print as many as you need. 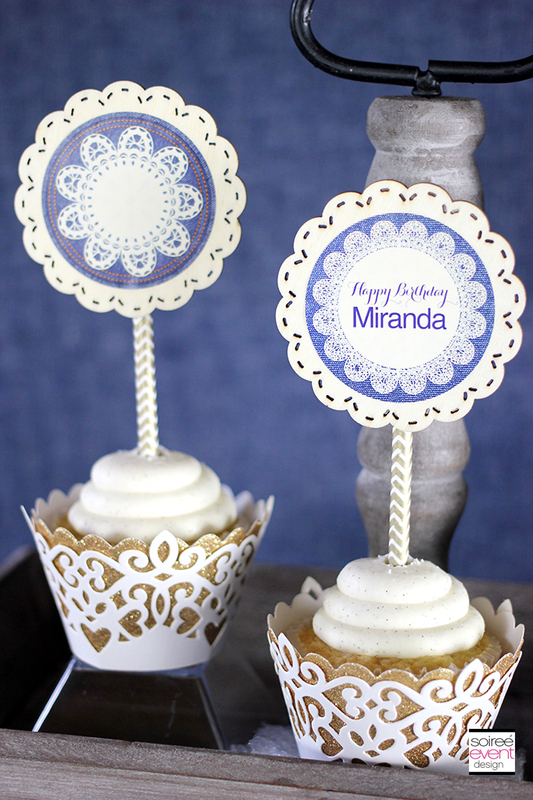 – circles to use for cupcake toppers, labels, container tags, etc. GIRLFRIEND TIP: I don’t bake so I am a fan of store-bought cupcakes for my parties. 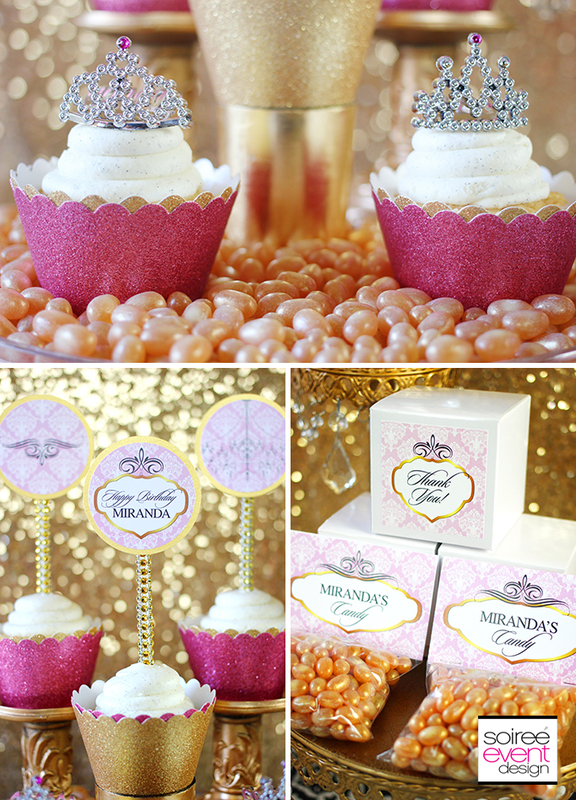 To glam them up, I love to use a variety of different sticks to put my cupcake toppers on. Sparkle Sticks from Made By A Princess and Striped Paper Straws from Hoopla Events are my go-to stick options. Finish decorating your cupcakes with matching cupcake wrappers and you have gorgeous cupcakes and none of the stress of baking them! 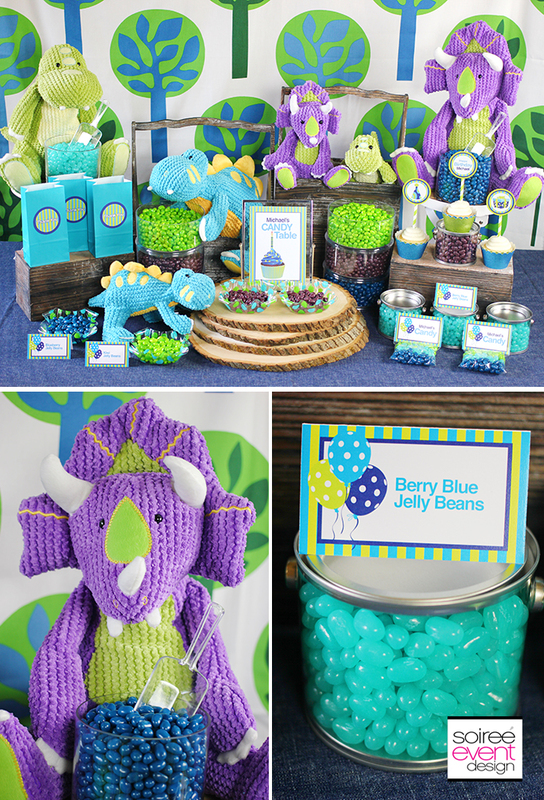 Here I styled the Blue/Green colorway for a Dinosaur Party theme for a little boy. This collection is so versatile! 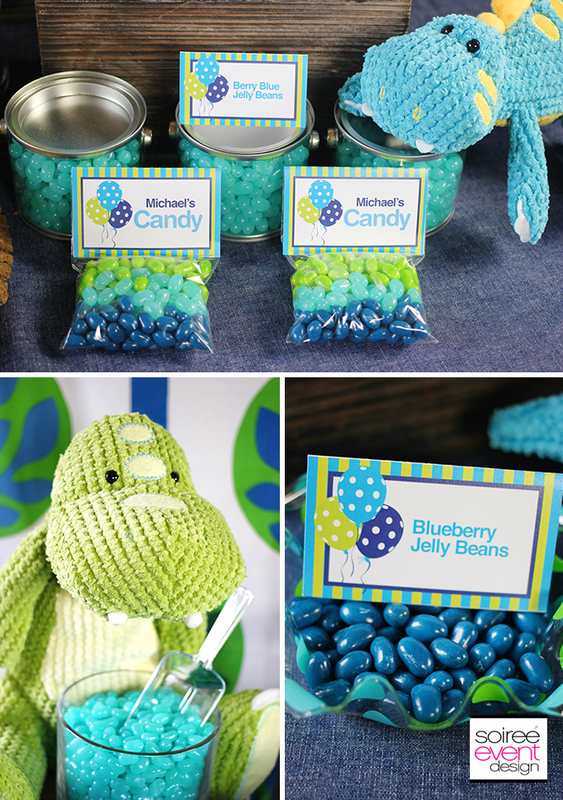 You can use any of the three color ways in a variety of different birthday party themes. DOWNLOAD ALL 3 “HAPPY BIRTHDAY” COLLECTIONS FOR FREE HERE. 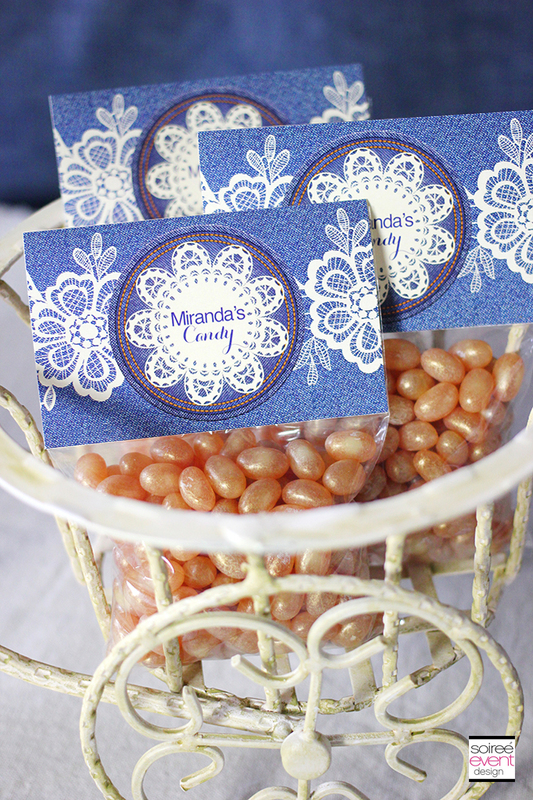 GIRLFRIEND TIP: For a fun party favor, layer three different colors of jelly beans in a 4×6 cello bag (available at most craft stores) and top with the candy bag topper from the printable collection for a personalized favor for your guests to take home. 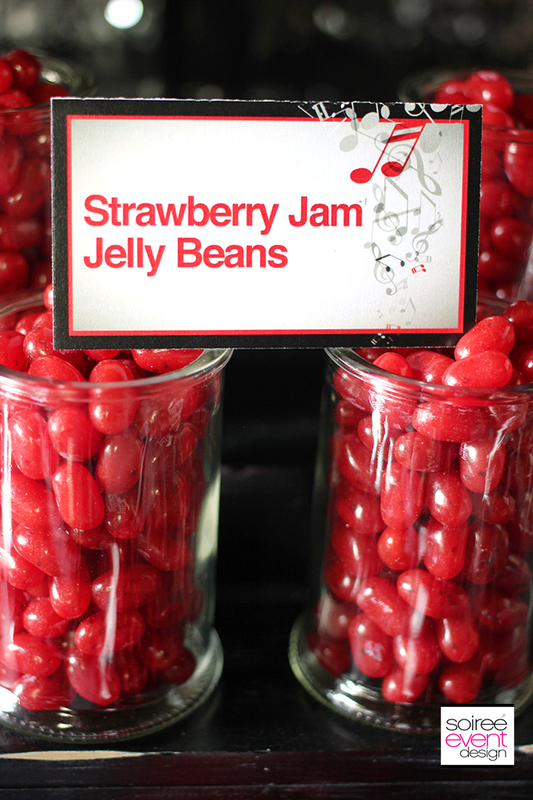 Also, have a few small bags on hand for guests to make their own mix of jelly beans to take home. 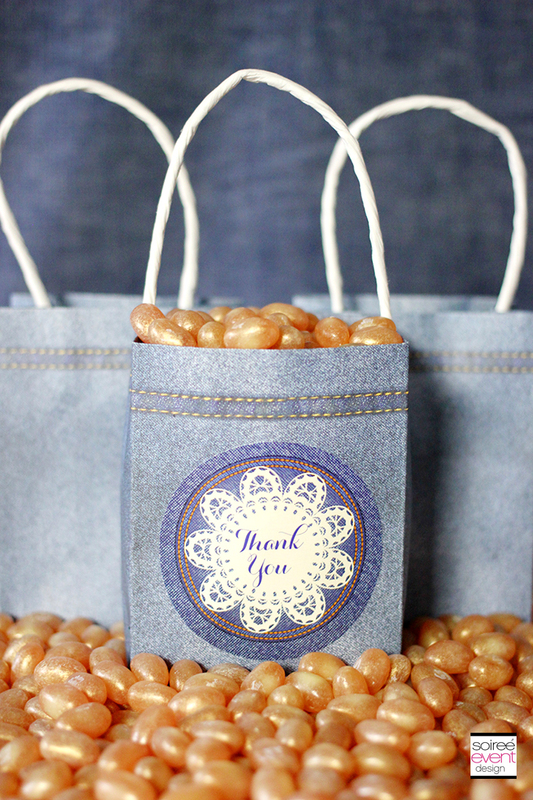 Be sure to stick a Thank You label from the printable collection on the bags for a professional look. 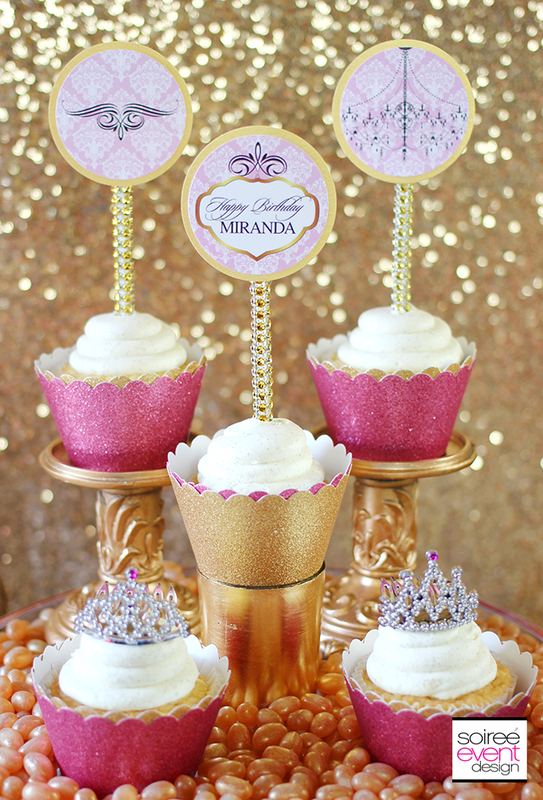 These Princess birthday party printables are perfect for a tween/teen or adult birthday party. 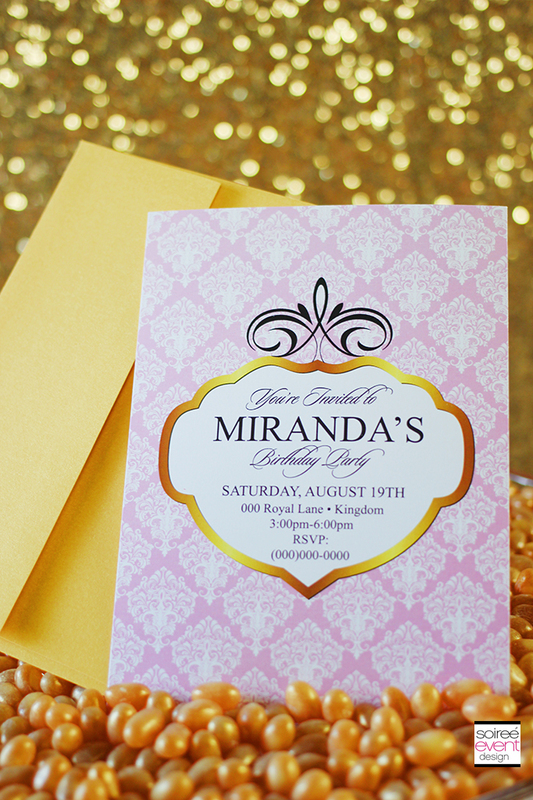 The elegant look and feel paired with a touch of bling will make any guest of honor feel like a princess for the day! Can’t you just see this table at a milestone 30, 40 or 50th birthday party! DOWNLOAD ALL 3 “PRINCESS” BIRTHDAY COLLECTIONS FOR FREE HERE. 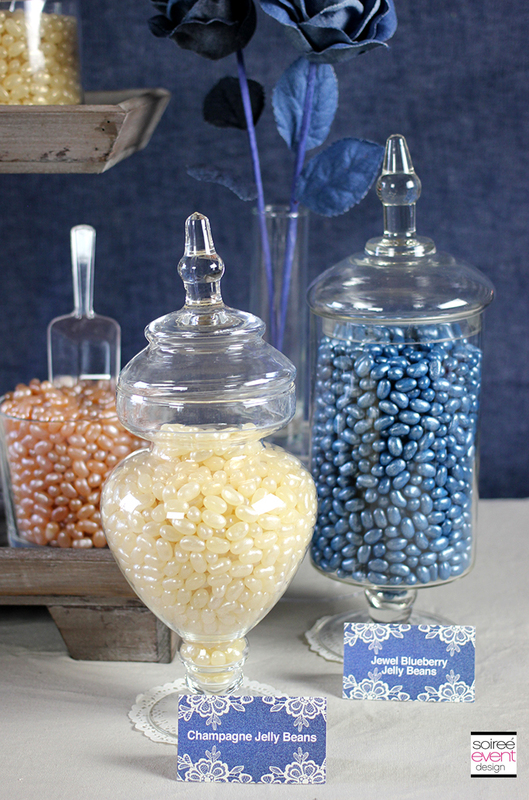 GIRLFRIEND TIP: When styling an upscale candy table, I love to use a variety of clear apothecary jars in varying heights to bring a touch of sophistication to the design. 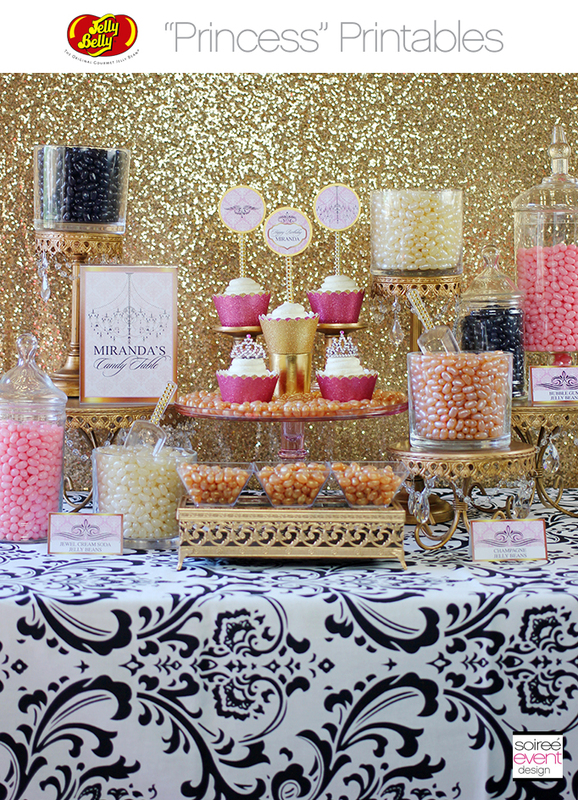 The sequin backdrop, bling rhinestone candy scoops and bling cupcake sticks all work together to give the table a touch of sparkle without being too overdone. AND…if you are using gold in your color palette, Jelly Belly’s Draft Beer jelly bean matches perfectly! This collection is PERFECT for tweens and teens! This is a hard age to host parties for as you must strike the right balance of fun and sophistication without feeling too “kiddy-party”. Tweens and teens are really into Music at this age so this is the perfect collection that blends just the right touch of fun and sophistication. 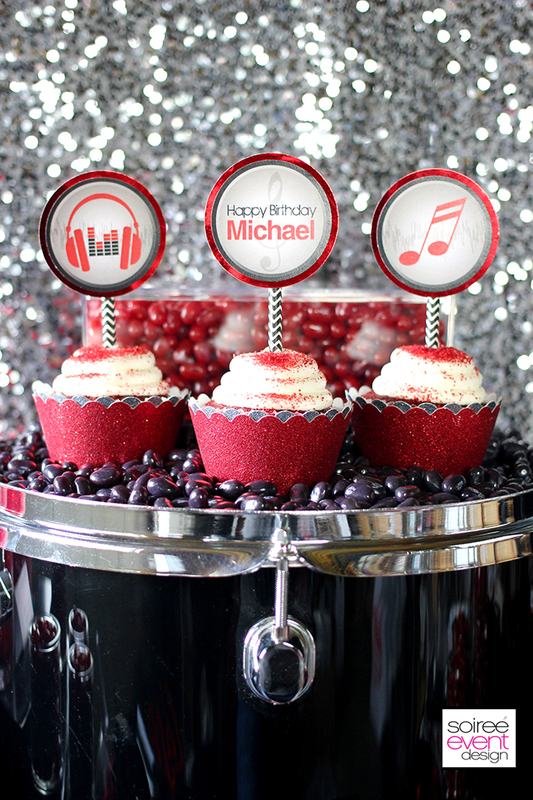 DOWNLOAD ALL 3 “MUSIC” BIRTHDAY COLLECTIONS FOR FREE HERE. 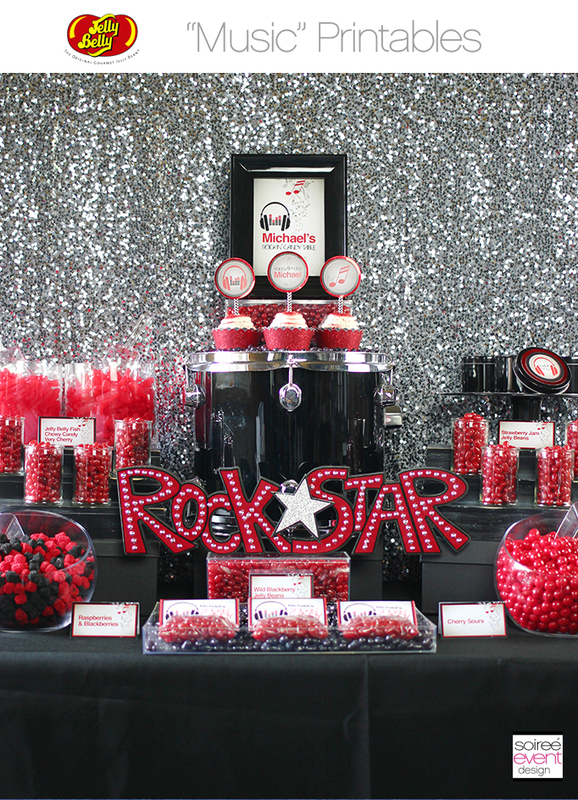 GIRLFRIEND TIP: I have to tell you guys…when I have to use black candy on one of my candy tables, I CRINGE since the only flavor options normally is licorice. I mean, what tween/teen do you know that REALLY likes licorice flavored candy? WELL…I have an option you are going to LOVE! Jelly Belly has a flavor called Wild Blackberry that is DELICIOUS! 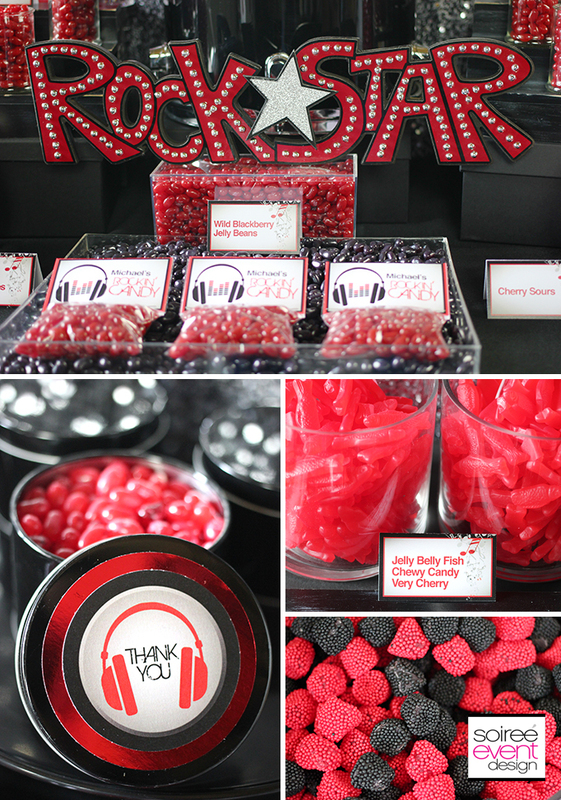 No more cringing for me…in fact, I’m now looking for ways to include black jelly beans on my candy tables now they are so good! 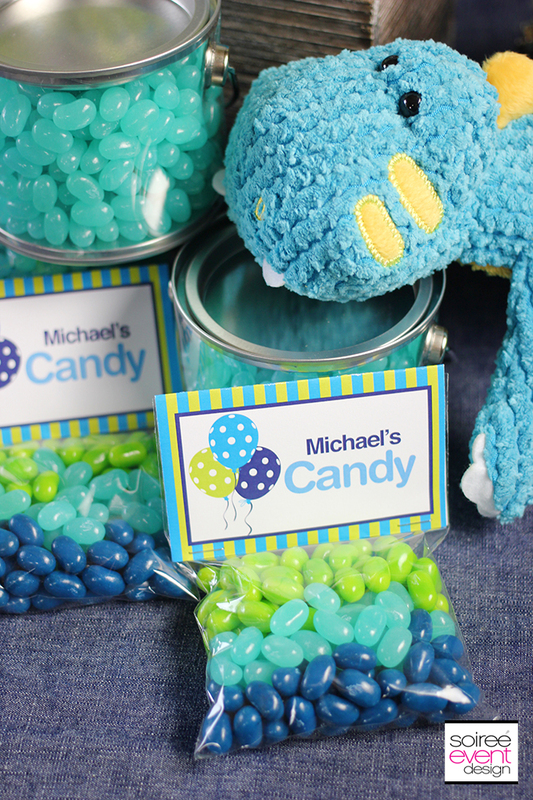 Be sure to use the tent card included in the printable package that let’s guests know that the black jelly beans are NOT licorice flavored so they’ll be more likely to try them…then watch them disappear! I designed this collection with the Vintage trend in mind. Vintage and rustic parties are all the rage right now and wanted to give you guys a collection that you could use to get in on this hot new trend. Mixing the denim with the lace elements gives this collection a rustic yet playful feel. 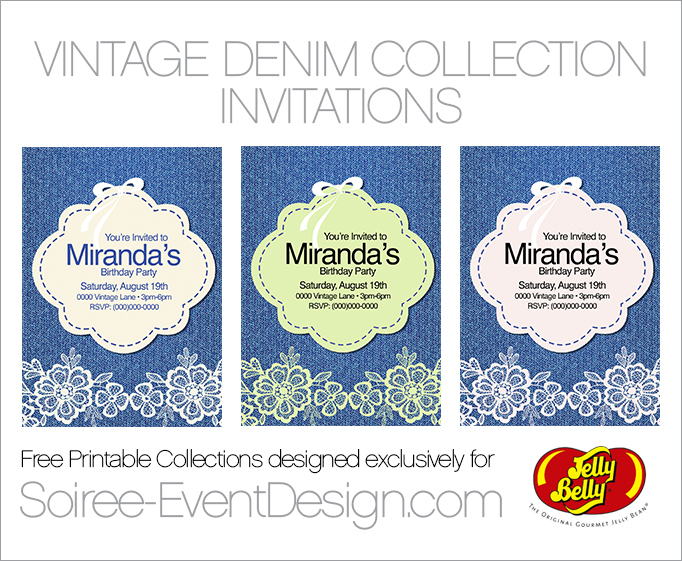 DOWNLOAD ALL 3 “VINTAGE DENIM” BIRTHDAY COLLECTIONS FOR FREE HERE. 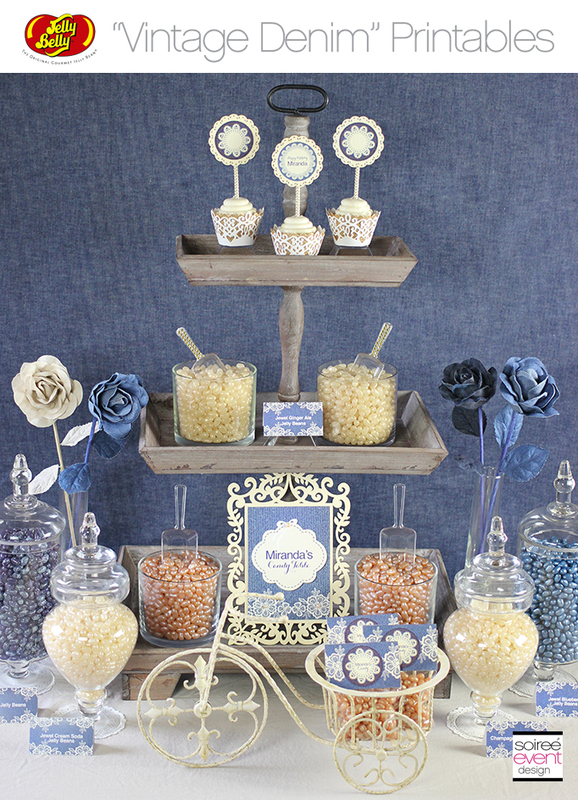 GIRLFRIEND TIP: When space is an issue and you can’t fit a full size candy table in your party space, consider using a cart or a small table that includes a three-tier tray like this rustic wood tray to hold your candy. When space is an issue, take advantage of vertical display options. 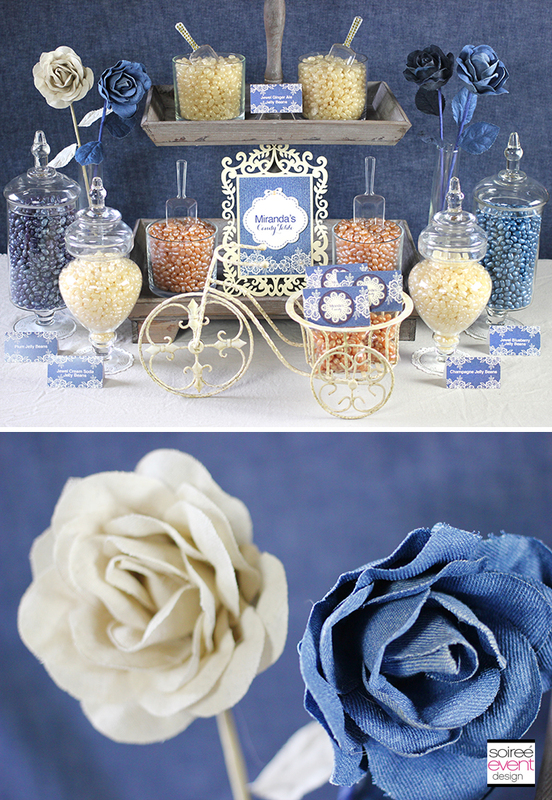 AND…whenever using denim in your candy table decor, Jelly Belly’s Jewel Blueberry matches the color of denim perfectly! Do you like these collections? 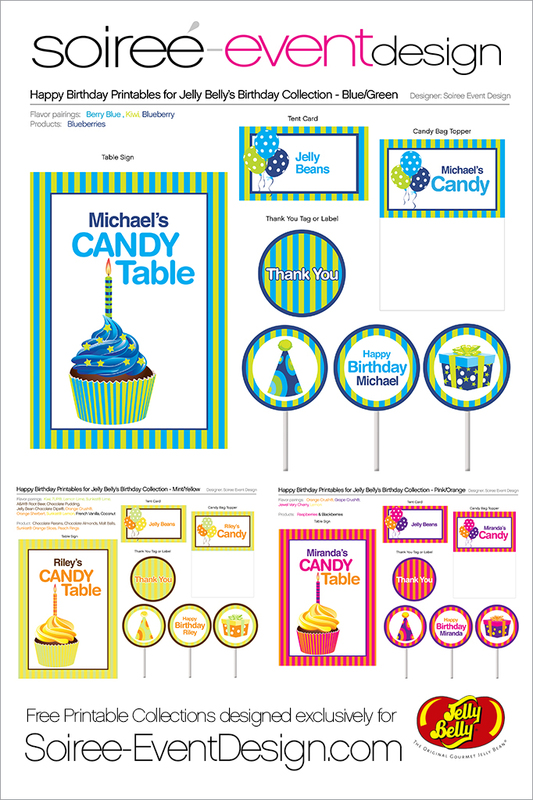 What birthday party theme you would use these printables for? FOR MORE IDEAS ON HOW TO USE THESE PRINTABLE COLLECTIONS, CLICK HERE. I think those printables are so cute. I love them! They all look so pretty. AND…there are even some for moms who have boys! Yay…right? Wow everything is so beautiful! I wish we did more parties so I could use these. Such great printable. I love all the tables and set ups too! What a fantastic idea! 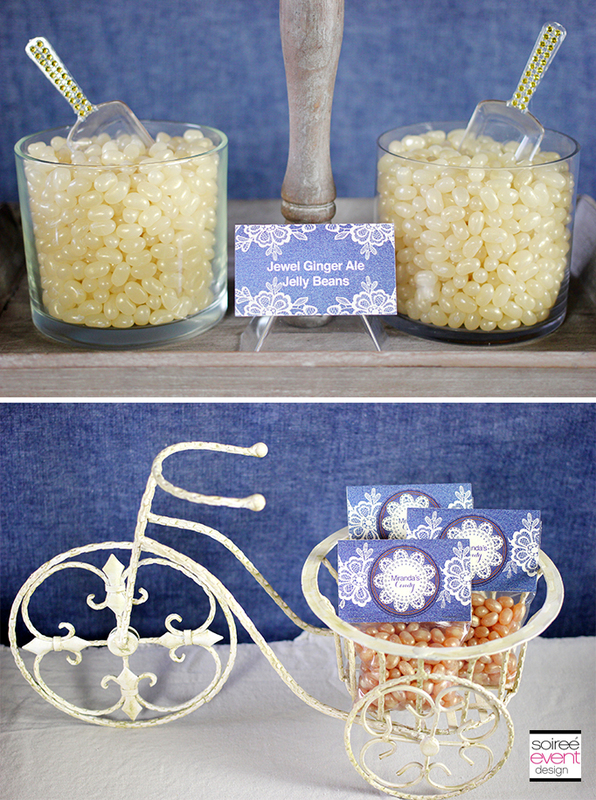 I love Jelly Bellys and these decorations are gorgeous! What a very cool party idea! Thanks Lisa! 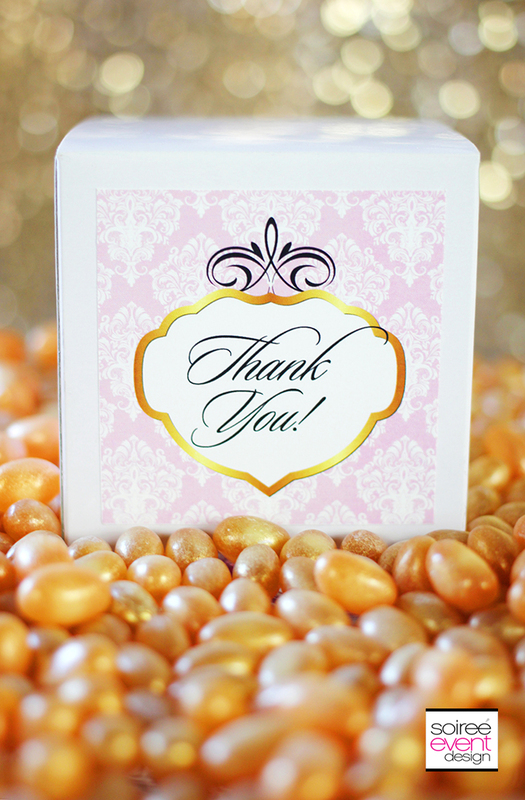 I admit, one of my favorite parts to styling for Jelly Belly is being able to taste the jelly beans…AMAZING! Jelly bellies are so yummy!! I don’t get them often but it’s fun to figure out what is what. Cute concept and great images. I like to create my own but for those that don’t, this would be great. YES! Perfect for busy mamas who don’t have time or the know-how. Yes! I’m so bad at creating this would be perfect for me! These printables are great! Actually, everything about this is great! 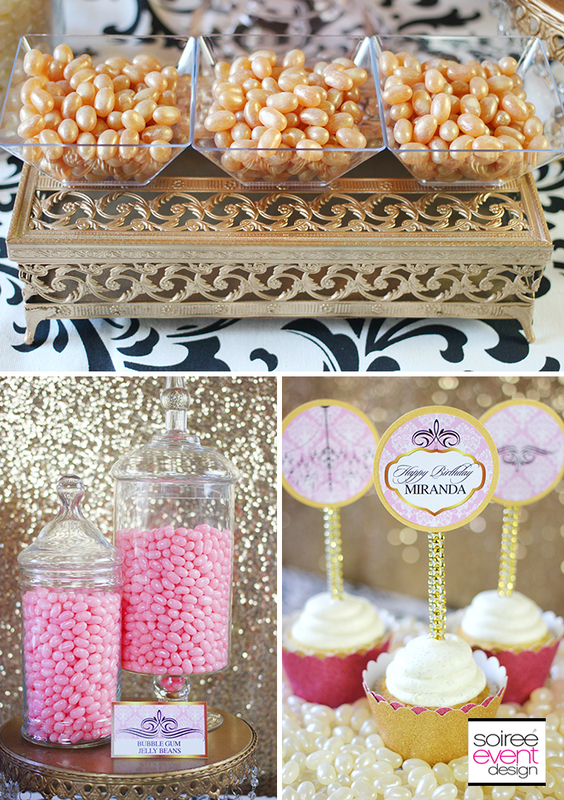 I have three daughters and any one of them would love the princess themed candy table for their next birthday party! 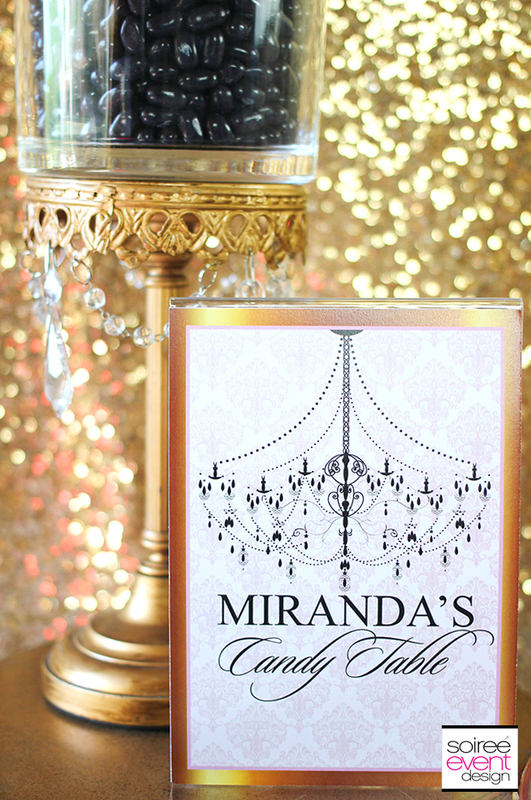 They love anything that glitters, gleams, or sparkles! We will definitely be doing this for my 8 (almost 9) year old in July for her birthday! YAY! Every 9 year old needs a little sparkle, right! Send me some pics after the party. Every time I read one of your posts on party planning, I look for reasons to have a party. Thanks for another gorgeous set of ideas! I aim to INSPIRE! LOL! PARTY ON! I’m planning a surprise birthday party for my husband in July and I think we’ll have some sort of candy bar like this to honor his sweet tooth! lol Thank you for the inspiration! These are too cute! The twins’ birthday is coming up. Thanks for these cute printables. Love the personalisation of these. They show great attention to deal. Brilliant. All of your printable are very cute. 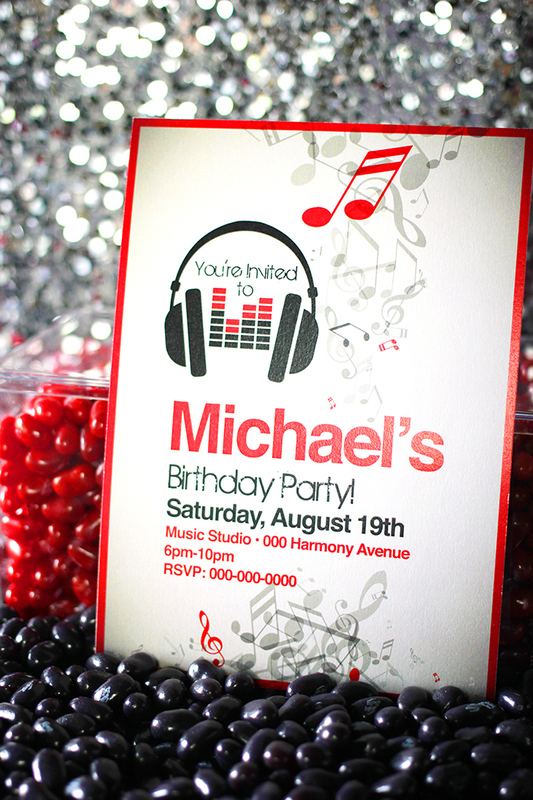 I love making party printables. Pinnned for the Win! 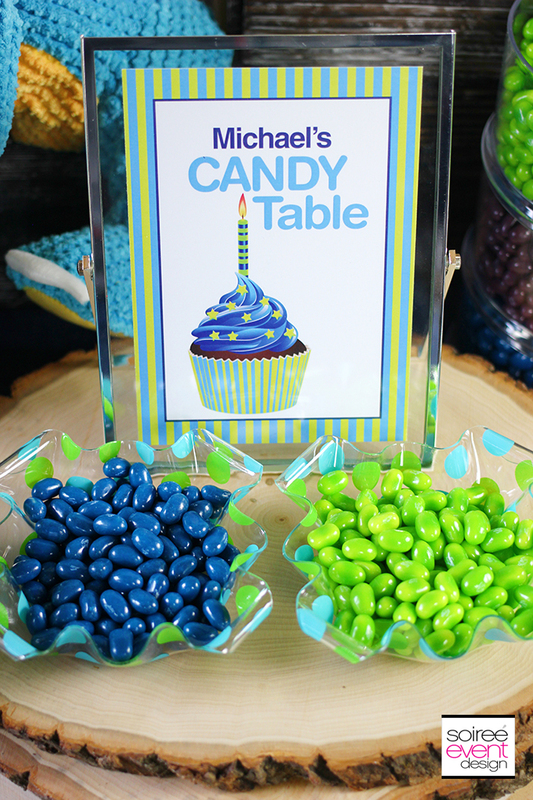 I love the candy bar printables…especially since it has a Green in Kiwi (wink)! LOL Kiwi! Looks like you found a signature jelly bean! These ideas are amazing! Wow! I love how there is an idea for almost every occasion! Very cool! Thank you for sharing! I am loving the rock star theme. That red and black is so cool. I love the rock star too. All of it is so stinking cute. Jelly Bellys are the best jelly beans ever. I always love seeing your party tablescapes. haha i was thinking the same about the stuffed animals. so cute! Aww I love those cute green and blue designs. It would be so fun to match it with some kiwi and blueberry Jelly Belly treats. 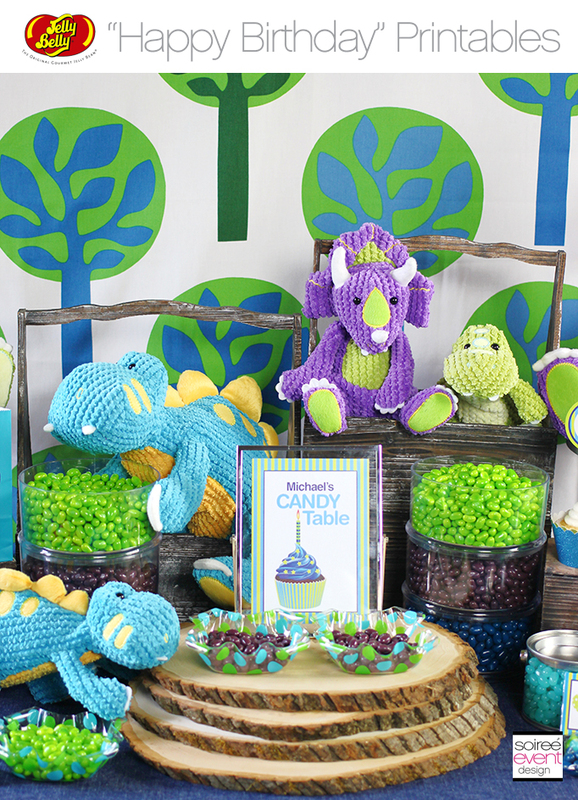 I am in love with that dinosaur table with candy. It is so colorful and perfect for my son’s upcoming birthday. It really is perfect. 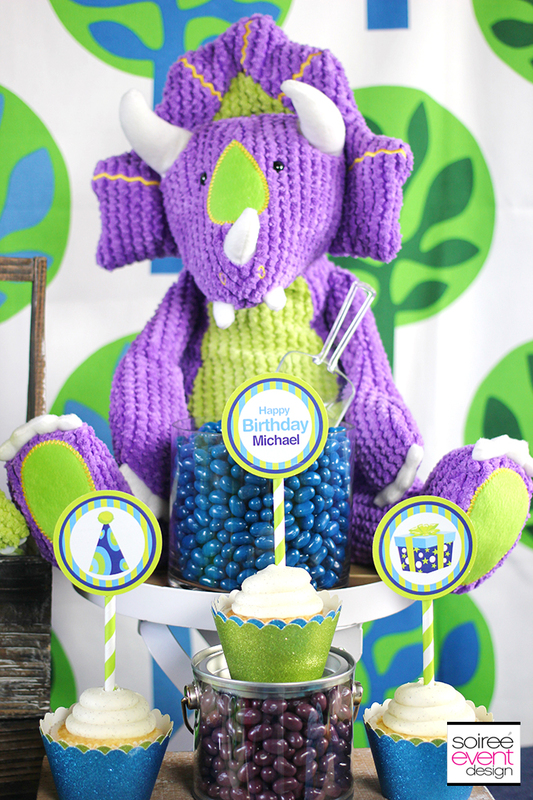 There are so many color combinations you can find perfect themes for every child. It could work for adults too! That is just too adorable. Love the printables. Oh wow, I hadn’t heard of a lot of these flavors. The champagne one sounds interesting. These are really beautiful and nice. I like these settings a lot too. I wasn’t expecting to see so many things I’d like in this arrangement. Thanks for sharing these ideas. 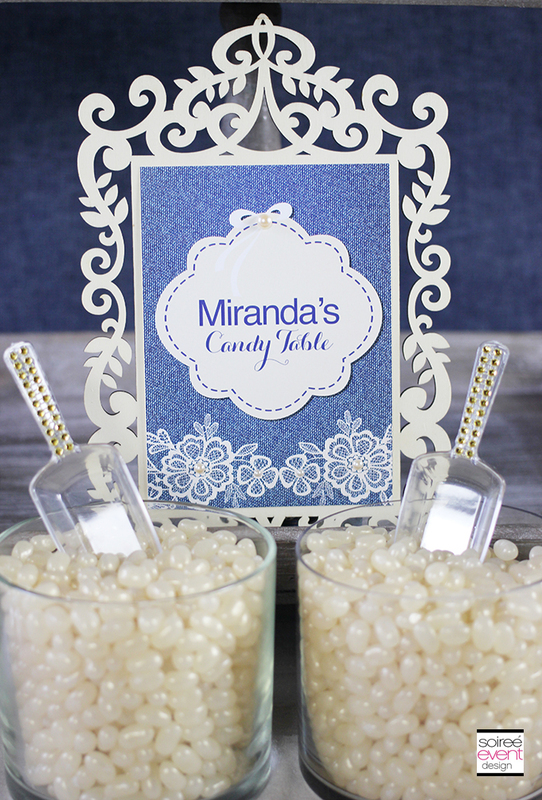 What a fun party idea and the free printables are great. I know someone who can use these! 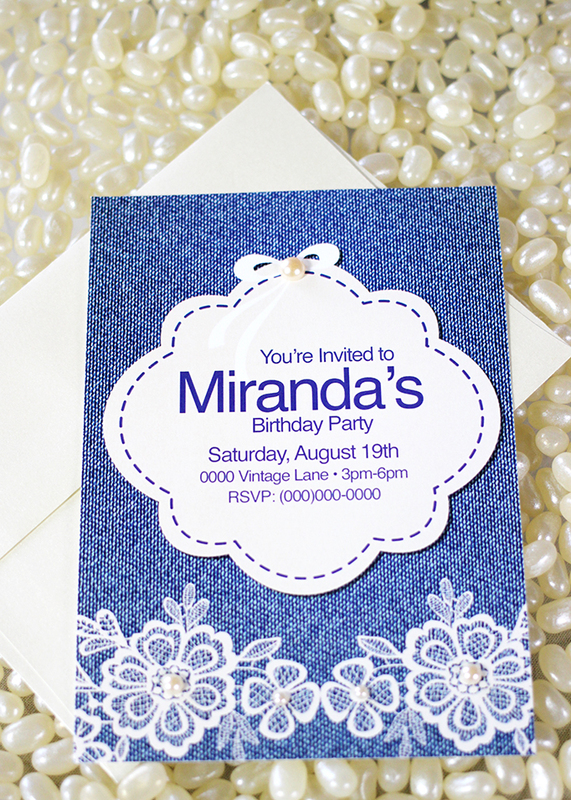 These printables take the party to the next level. Love the styles. These are awesome and you paired them so well! 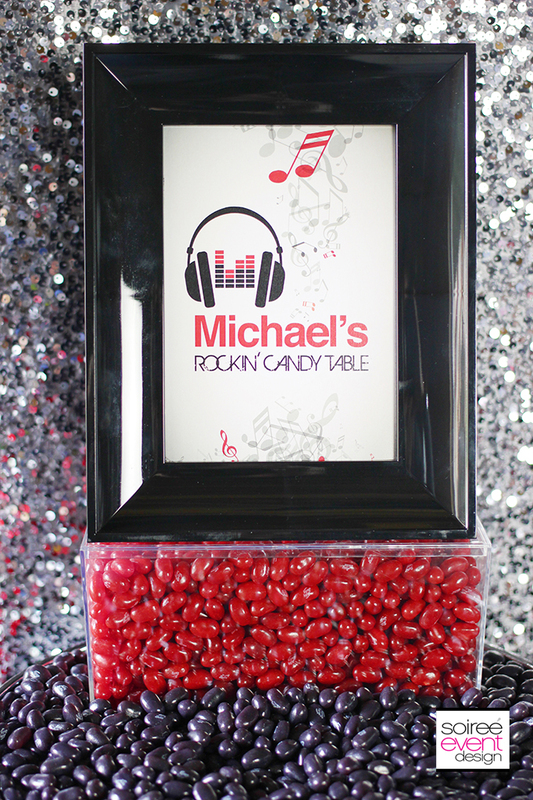 What a great way to personalize a party! This is amazing, I’m loving all of them. I will definitely use this for my next party. ok so i’m pretty excited that there’s black candy that isn’t licorice! I hate it too. I have a birthday party to help with in the fall and this is a fab idea – I love how planning for parties has become so much easier. Thanks for the printables idea. Right? So many awesome ideas especially on Pinterest. 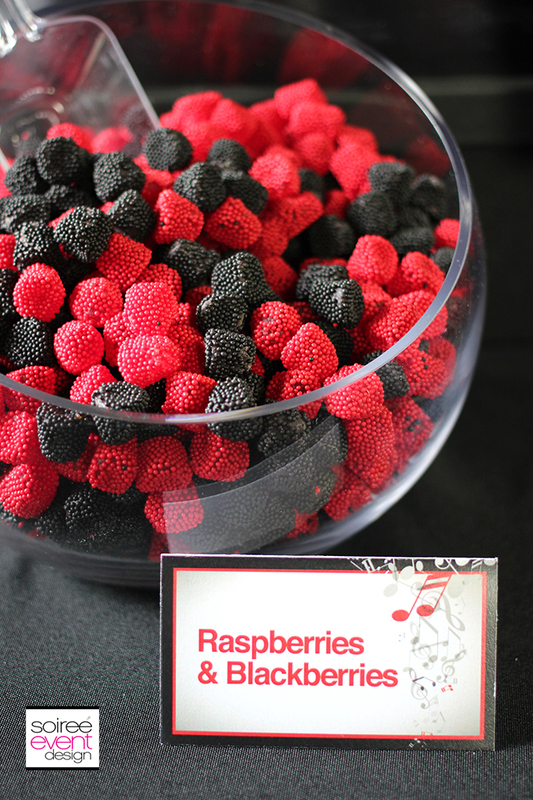 So many clever party planning ideas. We love Jelly Belly! You absolutely nailed it with this party. Everything looks amazing! Your designs are simply amazing! 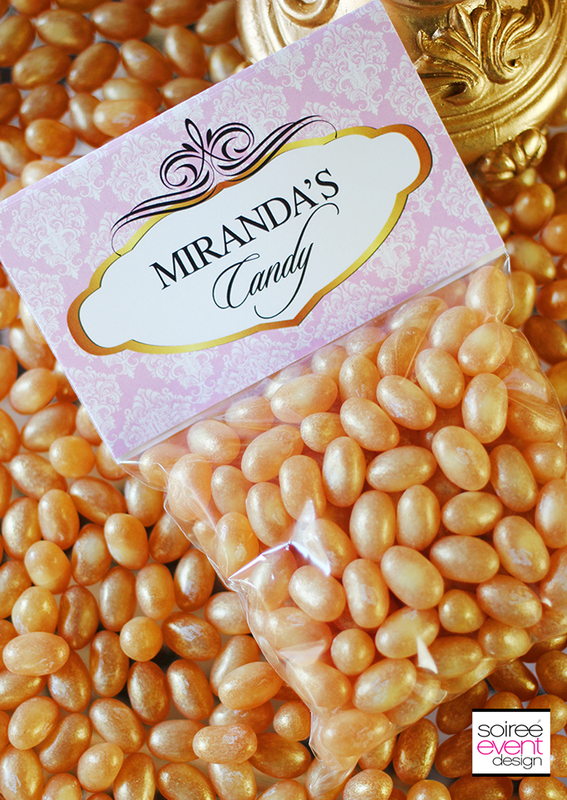 I love the Jelly Belly ones, and the ones for Miranda’s birthday. Wonderful and so classy too! Your a really amazing person and the printables are cool! Love the dinosaur theme and so would my boys. The colors are nice and bright – what a fun party! I adore all these printables. Everything’s lovely and they’re pretty versatile, could be used even for grown-ups activities. 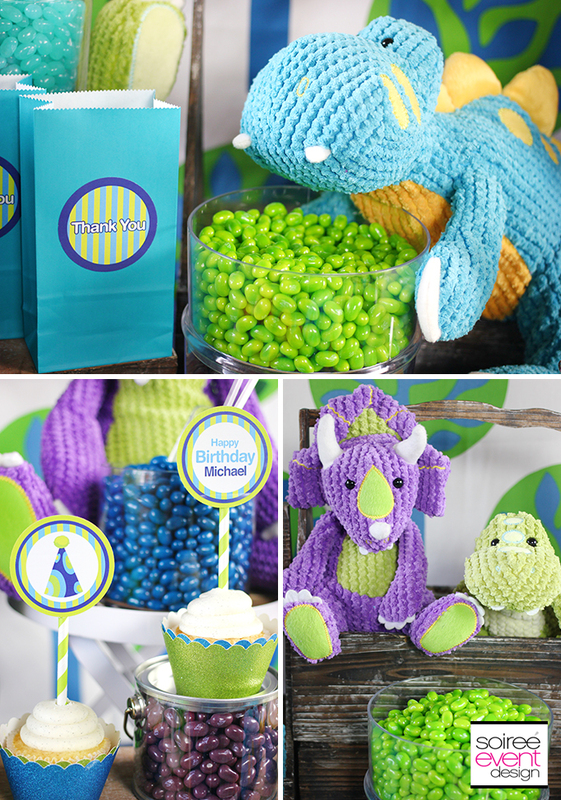 My son has always been fascinated with dinosaurs and although he’s already a tween, I think he would still enjoy a dinosaur themed party. 😉 Love your party ideas. Just so fab!!! These are super cute. I will need something in about a year. My daughter will be graduating from high school. I plan on throwing her a party. These are so handy – especially people with printers at home, saves them SO much money than to go out and get someone to design them for the parties. Thanks for sharing! I don’t have a talent that you have so I wish you could host a party for my kids, ha! I am not creative at all. Amazing ideas! Such beautiful displays. My kids just did the Bean Boozled challenged with Jelly Belly! Oh yeah! I bet they had a BLAST! Omg these are the cutest printables ever!!!! I have a birthday coming up. Maybe I will use afew! This looks like it was a great party. I will have to share this with my friend. She is planning a birthday party. It is amazing how much of a difference a properly decorated and labeled table can make. I love the colors you chose for the party. You’re amazing Tonya!! 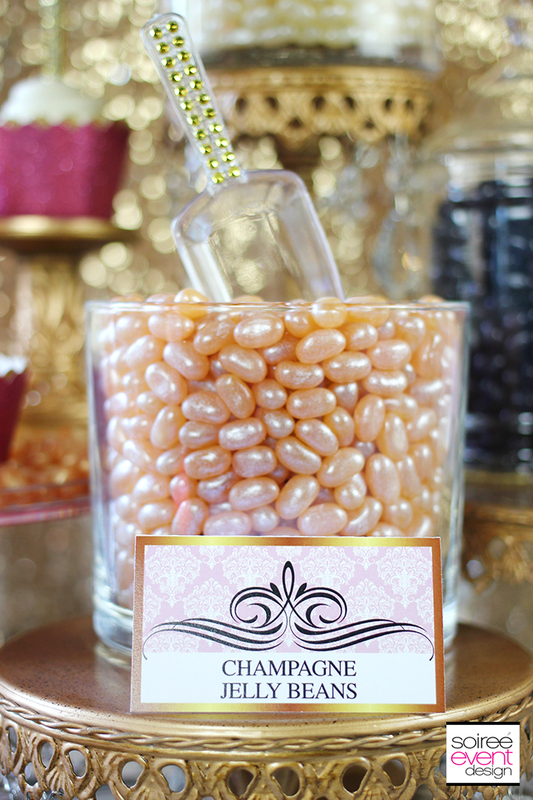 Champagne jelly beans….where do I sign up?! Oh My Gosh! You have a serious gift for putting together such amazing displays and ideas! I’m floored every time I visit your site! Absolutely gorgeous! You really outdid yourself this time. These printables are incredible! oh the rock star one pops out to me! Those colors are great! Thanks Censie! 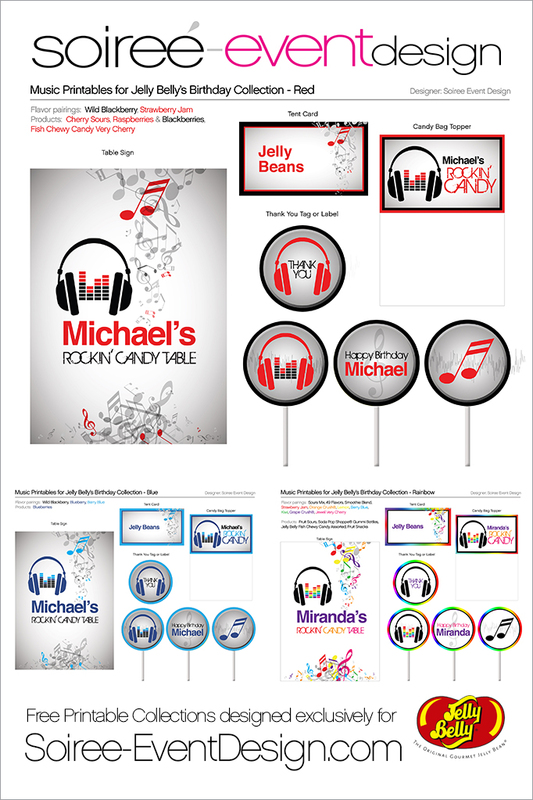 These are such a great theme for both tween/teen boys and girls! Ok, this is awesome. And I am seriously intrigued by the champagne jelly beans!! They actually taste amazing too! I admit I was a little hesitant to taste them, but they were really good! I absolutely love all the colors in this. My kids love jelly beans and both are having birthdays SOON. And I have to plan those..
What awesome party set ups! I absolutely love love love them. SO pretty! Love all the nice bright colors! Very inviting! What a fun theme! I’m in love with the Princess collection! So much glam but can very easily be use for any age group! Love jelly bellys. I used to make my wife send them to me while I was deployed. Some of the flavors are a little crazy, but that’s half the fun! these are really some amazing printables. 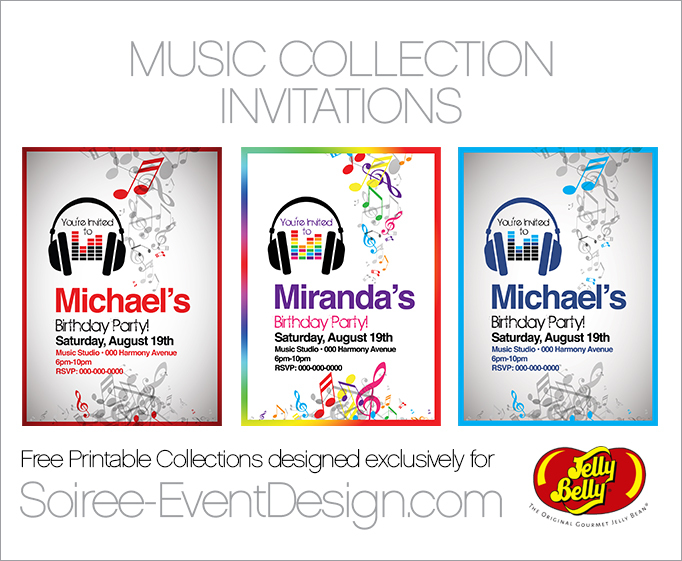 I always try to use hand printables at all my parties and gathering – it just makes the parties so much more! WOW party invitations and planning have come a long way. I love the personalized touches and so many variations! These are adorable printables! I’m planning my daughter’s 5th birthday and a bridal shower, so I’ll be needing some soon! That’s PERFECT! One thing off the list right! 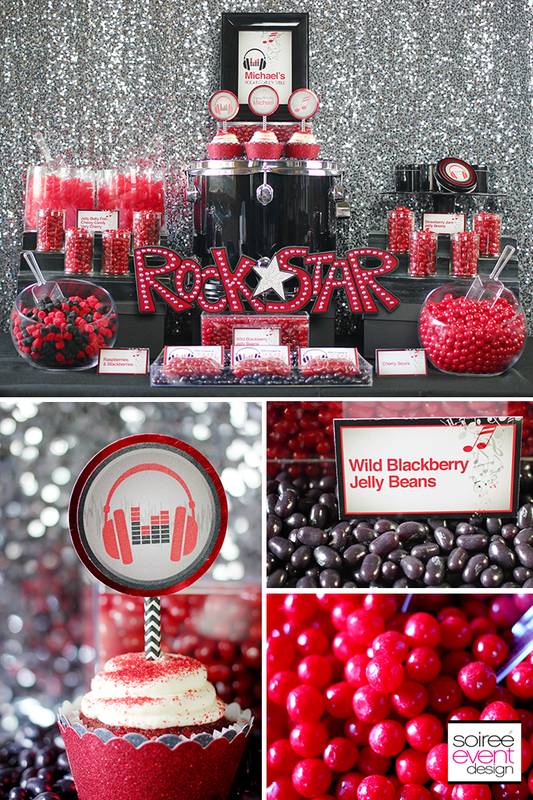 The endless colors and flavors of jelly beans have certainly come a long way, and can be used in many different ways to set the stage of a special occasion. 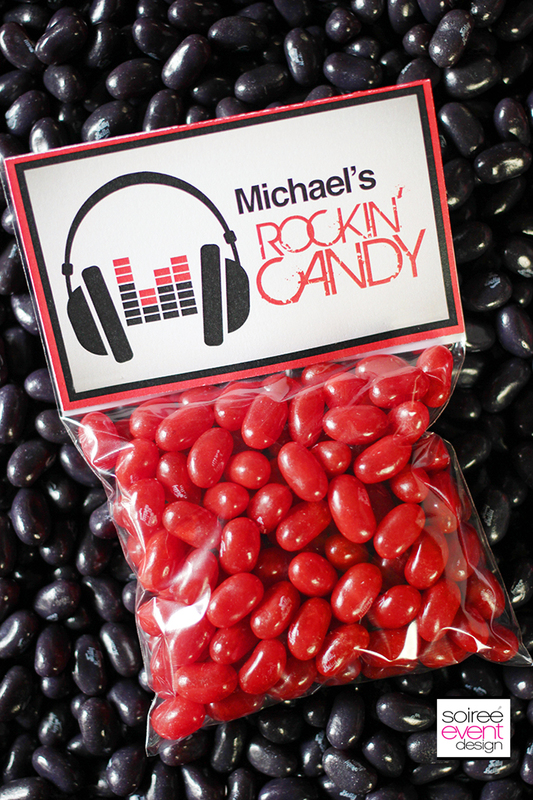 I really like the printables for the jelly bean favor bags. Whoa! This is amazing! 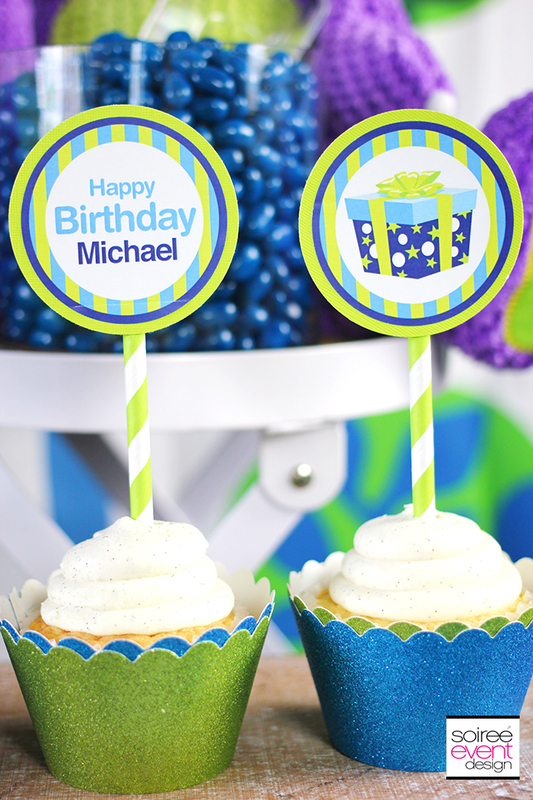 We have two summer birthdays coming up and there are some great printables here for that!! GREAT Melanie! I’m glad you could use these. All the printables are so cute! I love the denims.Thank you so much for sharing! My favorite thing is the cupcakes. I like the idea of taking the store bought cupcakes and gussying them up. These printables are great. Love the circular blue and grey ones! This all look great and the color combination is fantastic. Wow personalization makes such a big difference. It looks so elegant. I’m loving the princess theme. OMGOSH just in time for my son’s second birthday! Thank you for this! Pinning for next week!! Your photos are amazing! Tonya, I love all of these. The color of the champagne ones look so beautiful. I tried Jelly Belly years ago, before they became popular. I really liked them. Super cute decorations. They would make great gifts, too. I didn’t realize party set-ups came in so many options. Thank you for the post. 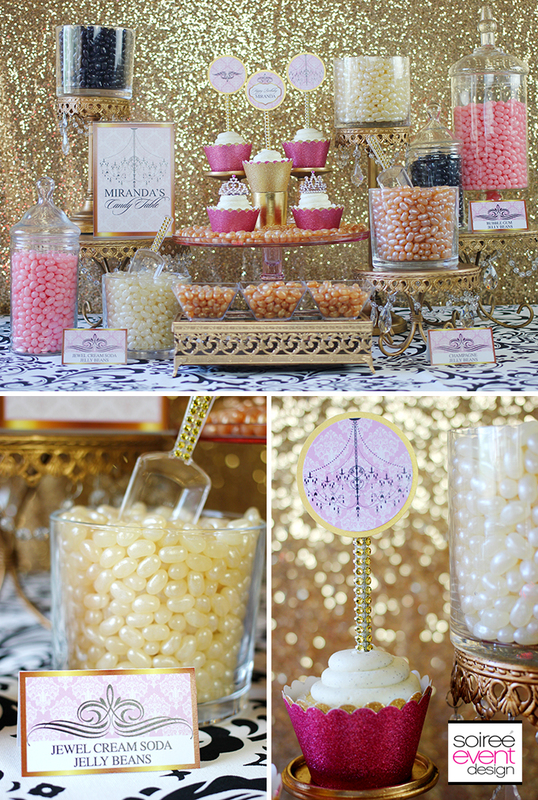 This is all very pretty and a great idea to enhance a birthday party. Thank you for the printables. These designs are amazing and so colorful. I’m impressed! Awww how fun! I have always loved Jelly Belly! The fun colors and their great flavors too! popcorn Jelly Bellies have always been my favorite flavor. These are too cute. We have two birthdays coming up and I could use this. These are all great ideas. I will bookmark this and print for later. Thanks for sharing. these are great DIY stuff. very timely for me. Great ideas! Perfect for the busy mom! This is right on time. Two of my boys have birthdays coming up. 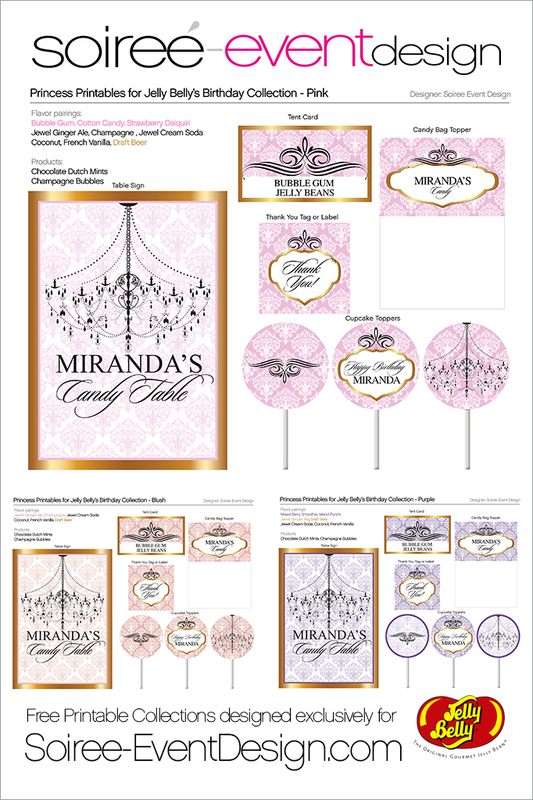 These printables are awesome, and your tablescapes are stunning!! I have two birthday parties coming up, thank you!! I love printables. Such fun for a party!! These are very fun and delicious ideas for parties. I also LOVE to eat jelly beans, who doesn’t, right?